If you like Chablis - try this wine! A young domaine sited on south-facing hill slopes and planted to Pinot Noir and Chardonnay. Our overriding concern is for quality and we produce both regional Bourgognes and Petit Chablis. A straw yellow color with greenish tones. 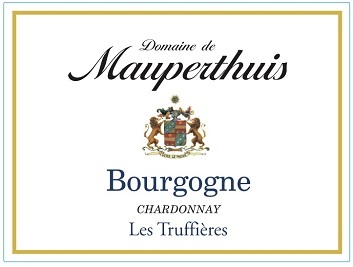 Aromas of white fruits, apple, pear, flowers and a mineral touch. In juicy , balanced and very fresh mouth. Ideal for fish and crustaceans. Terroir very close to Chablis. This wine is very crisp like a Chablis. The J.M. 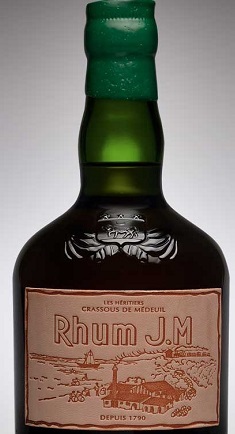 15 year vintage aged rum is one of the most sought after rums for any true rum enthusiast's collection. Throughout the 15 years of barrel aging, about 70% of the initial volume within the barrels have evaporated, know as the agnel's share. The little that is left over is carefully bottled "at cask strength" in order to preserve each vintage's own sensory balance. Age of Vines: 80 years old. Vinification Method: The Cote de Brouilly is fermented in concrete tanks and then transferred into tonneau to open it up a little. Generally bottled the same time as the Brouilly. Tasting Note: The most powerful of Rémi’s wines, the cote de brouilly is still balanced with an astonishing amount of finesse, and is perfectly drinkable in it’s youth, but will also blossom into something more special in 5-10 years time. Sporting a new label design, the 2011 Brunello di Montalcino represents a philosophical divide from previous vintages. 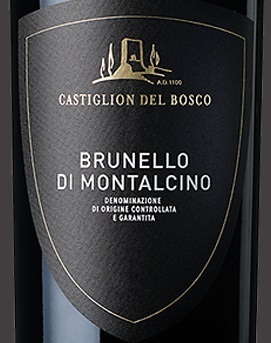 In the past, Castiglion del Bosco was focused on soft and immediate Brunellos for near-term consumption. Despite the warm conditions of the 2011 growing season, this wine shows far more elegance, nuance and grace than I expected. This massive property is comprised of various vineyard sites for more blending possibilities. The bouquet is redolent of wild berry, cola and grilled herb. The tannins are silky but long in terms of persistence. An elegant style, with powerful dark and red fruit flavors, including plum, cherry tart, currant and blackberry, accented by graphite and dark chocolate notes. The finish offers a cascade of rich spice and cream accents, featuring hints of black olive. Drink now through 2020. 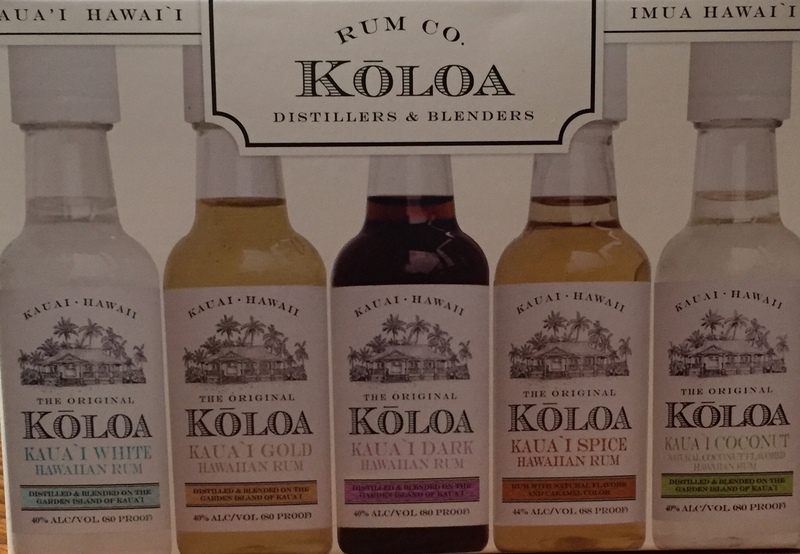 Koloa Spice Rum is made from the mash of raw Cane Sugar, distilled in an impressive vintage 1210 gallon steam powered copper pot still and cut with filtered water from the ancient Mount Waialeale. 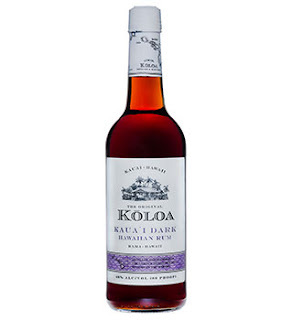 Appearance: This spice rum is a majestic tawny color with hues of golden rich heather, much lighter in the cloying viscosity then the other expressions of Koloa Rums, probably due to the higher ABV. at 44%. The legs are thin and evenly expressed around the glass. Taste and Finish: This spice rum is dry and crisp on the palate, with up front spices showing exactly like the nose, with the additional flavors of deeply cooked caramel and a light finish of sarsaparilla. Plus we have this pack with 5-50ml bottles inside. 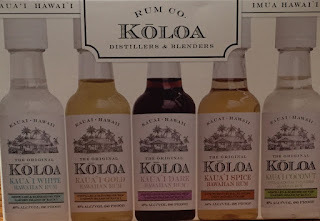 Great chance to try them all or give as a gift. The newest addition to the Rieger family is Caffe Amaro. Caffe Amaro is a bittersweet coffee liqueur and should be a staple in your home bar come winter time. With the nation’s obsession of coffee; cocktails made with coffee or some sort of coffee liqueur has become very popular over the past few years and Rieger Caffee Amaro is sure to up any cocktail. Rieger worked closely with another local company in Thou Mayest Coffee Roasters to find the perfect coffee to match the Amaro that wasn’t too sweet or too bitter. This all was then aged for a little time in once used Rieger Whiskey Barrels finished with some slightly sweet cane syrup. The result is an Amaro with notes of vanilla, spice, with a hint of bitter orange. 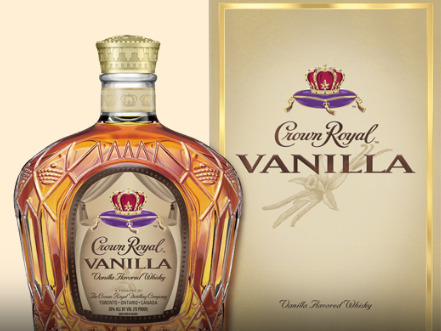 Really good just by itself but also works well in Irish coffee, White Russian and makes an interesting drink with some tonic. 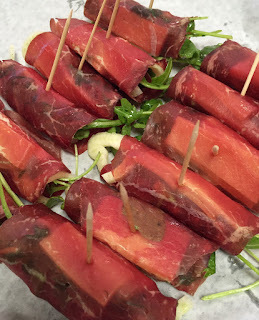 We just brought back in one of our favorite cured meats, Bresaola, an Italian style cured top round of beef. Unlike most other cured meat products, Bresaola is extremely lean, with little or no visible fat. Sweet and aromatic with a deep ruby-red color, Bresaola should be sliced very thin. 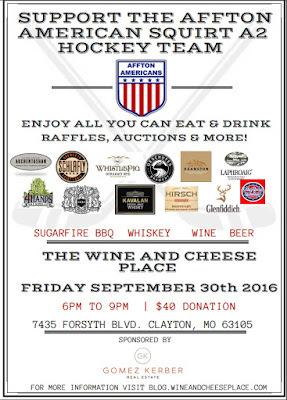 Stop by the weekend for a taste. Below is a great recipe for a quick and delicious appetizer featuring Bresaola. 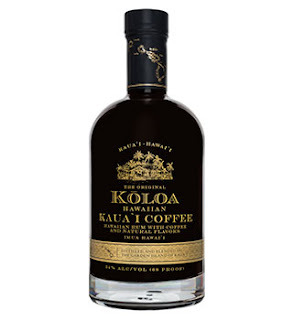 Koloa Coffee is made from the mash of raw Cane Sugar, distilled in an impressive vintage 1210 gallon steam powered copper pot still and cut with filtered water from the ancient Mount Waialeale. The Spirit itself is a collaboration between the Kauai Coffee Company and Koloa Rum Company. The 2012 Proprietary Red Blend Mernet Reserve, which is a blend of 50% Merlot, 44% Cabernet Sauvignon and 6% Cabernet Franc, may well be Michael Keenan’s favorite wine. 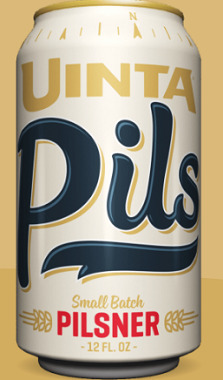 Only 500 cases were produced. Chocolaty cassis, graphite, spice box and plum are all present in this sensational blend that should age beautifully for 15-20 years, although most people will have consumed it by year ten. The color is a handsome, opaque purple. The wine is extremely impressive and still very youthful. Another one or two years of age will round it into more complex shape. One of Napa Valley’s most successful Cabernet Francs, Keenan’s 2013 Cabernet Franc, is 100% estate Cabernet Franc from their holdings on Spring Mountain. Beautiful blueberry and raspberry fruit interwoven with spring flowers jumps from the glass of this wonderfully balanced and elegant, yet authoritative wine. It is rich, medium to full-bodied, but at the same time ethereal and finesse-oriented. This is a great example of Cabernet Franc at its best B intense, but elegant. This should last for at least another decade. 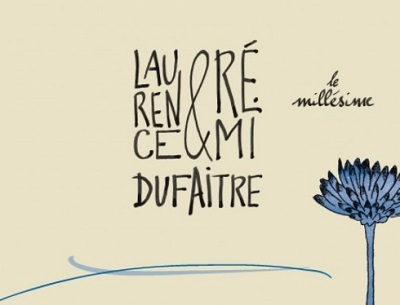 This wine has 7% Cabernet Franc added into the blend and 700 cases were produced. A blockbuster wine for sure, with an inky/purple color, sweet crème de cassis, graphite, chocolate a hint of charcoal and burning embers – almost as if it wanted to behave like a Graves from Bordeaux. This is full-bodied, very rich, powerful and still moderately tannic. It’s a baby for sure, but what an impressive one. This wine needs a good 3-4 years of bottle age and should keep well for 25-30 years at the minimum. Havana Club Rum is now in stock at Forsyth. The Arechabala Family started their rum-making business in 1878 in Cuba. 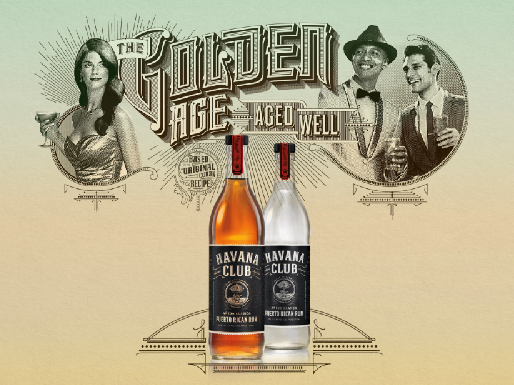 They first registered the Havana Club trademark in 1934. With its well-rounded flavor featuring notes of tropical fruits and hints of vanilla and oak, Havana Club quickly became a beloved and iconic Cuban brand. It was a favorite of locals as well as American and European tourists flocking to Cuba’s chic nightspots and casinos from the late 1930s to the 1960s. Havana Club became one of the symbols of the razzle and dazzle of that Golden Age. Sorry, no refunds. If you cannot make it, you can transfer your tickets or the money will just be donated to the charity. Here are just a few products for the tasting. Beers from 4 Hands Brewery, Schlafly, Oskar Blues, Deschutes and more. 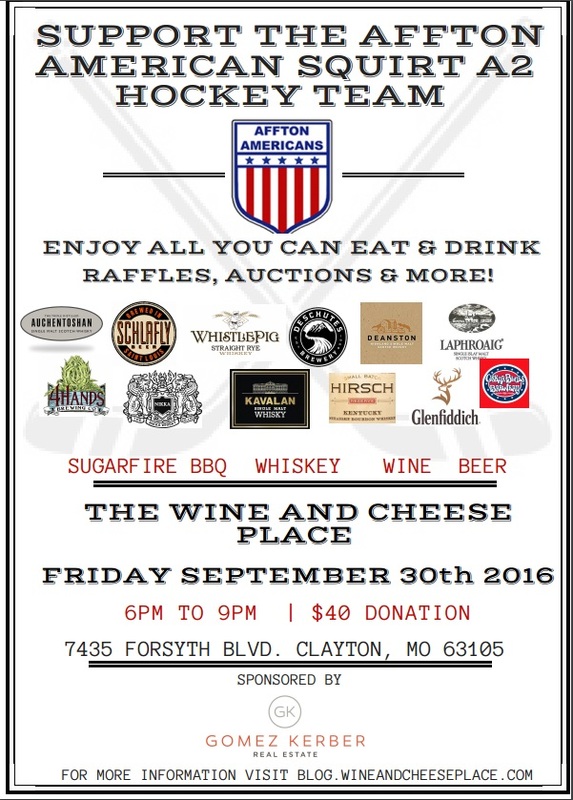 There will also be lots of wine to taste. India Pale Ales (IPAs) were first brewed in England during the late 1700s for export overseas to British soldiers in India. To keep their beer from spoiling during the long voyage, English brewers fortified their traditional pale ale recipes with natural preservatives: more malted barley, for a higher alcohol content, and more hops. 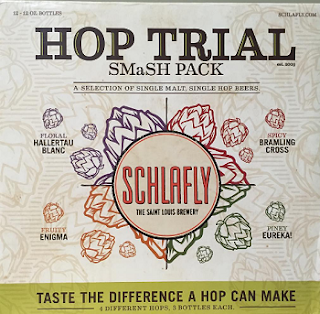 In recent decades, with growing appreciation for highly hopped beers, American craft brewers have revived the style, embraced it, and incorporated new hop varieties. 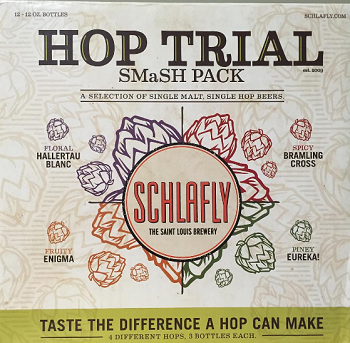 Our Special Release IPAs further those traditions and showcase the distinctions of hops from different hemispheres. 90 Point Chianti for $6.99 !!! This vibrant selection offers floral and fruit fragrances of violet and red berry. The palate delivers juicy red cherry flavor, with white pepper and nutmeg accents alongside bracing tannins that should soften over the next year or two. Perfect to match with barbecues or pastas topped with dense sauces. Michigan Brut bears the scent of crisp apple, citrus notes, with a bit of yeast. Clean and crisp up front, it follows with a tart, dry, lightly oaky lingering finish. Michigan, like all great apple-growing regions, is on a coast. The maritime climate provides generous rainfall for the local orchards. 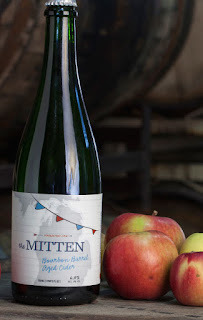 We use all sorts of Michigan apples, grown on local family farms. The blend of these heirloom apples creates a complexity of of flavor, which is impossible to achieve with just a few varieties. The scent of ripe apple leads you to the glass. 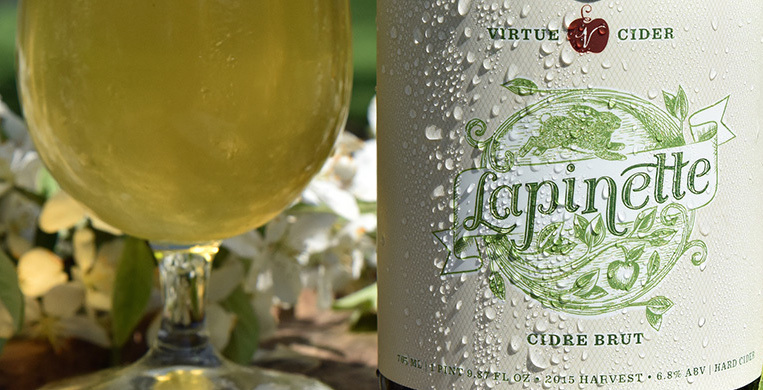 Layered notes from the orchard and the French oak barrel bring you to the place and process where the cider is made. Try pairing with roast pork or a rich raclette to bring you there completely. 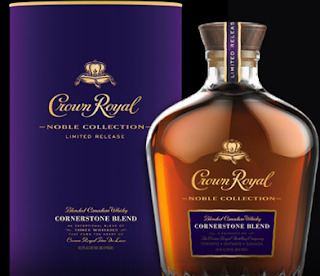 Introducing the Cornerstone Blend, the first limited release from the Crown Royal Noble Collection. A superior blend of our three more essential whiskies, notes of sweet caramel, rich toasted grains and aroma of ripe fallen apples. An extraordinary gesture for an extraordinary few. This year-round porch beer has a crisp bitterness that balances gentle hop aromatics of citrus rind and fresh cut flowers. Malty and smooth, our traditional German style Märzen lager is brewed to celebrate the fall months. The sweet potato has long been a staple of American gardens and pantries. After harvest the sweet potato provides diverse culinary options. 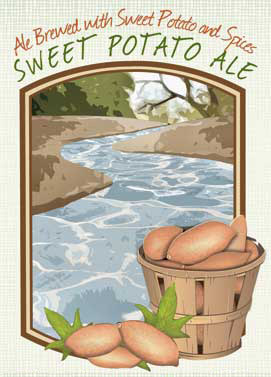 On the Piney River, we use roasted sweet potatoes in our handcrafted Sweet Potato Ale, inspired by our favorite sweet potato comfort food—the sweet potato pie. Le Terroir is a french term meaning “of the earth." Used to reference the environmental conditions that affect the brew, we like to think about the terroir of our foeders. These wooden barrels age our sour beer in varying temperatures, humidity, and vibrations. The terroir of New Belgium, so to speak. Add in another variable by dry-hopping with peachy, mango-like Amarillo hops, and we created a beer that changes every time we brew it. Aroma: Peachy hops, citric sour notes- juicy. Mouthfeel: Tart and dry, hop linger. 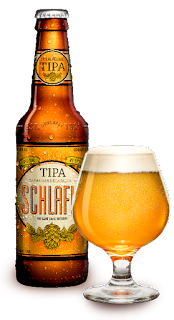 Flavor: Sour, hoppy burp finish- lemongrass and mango sours and hops- you would think that hops and sour do not go together but the hop choice- Amarillo- tropical fruit notes and the barrels soft fruit sours seem to be the perfect marriage. Visual: Golden color, filtered clear. NOSE: At bottling strength the aroma seems quite closed giving only a rich, sweet scent but a touch of water releases all the multitude of different flavours. The initial sweet, sherry sweetness is quickly followed by the time-honoured Islay peat tang. After this opening burst of flavour there is a smooth fruit ripeness that complements the tang of salt in the background. BODY: Rich round and full. PALATE: The burst of peat that fills the mouth is quickly restrained by a sherry sweetness that slowly develops into spicy apple fruitiness. FINISH: Very long and warming leaving a distinct tang of Islay. 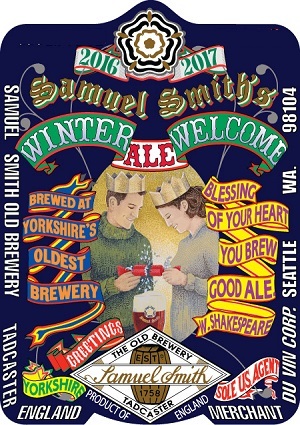 What about Stone Vertical Epic Ale 01.01.01? Well, there are two reasons for its non-existence: (1) We didn't want to participate in the whole overhyped media nonsense of "Millennium this" and "Millennium that," and (2) we didn't think of the Stone Vertical Epic Ale idea until the fall of 2001 (which was already too late for a 01.01.01 version.) Sure, we could wait until the year 3001 to start this series, but we were afraid that with all that time between now and the next millennium, we might forget. Besides, that millennium will probably be overhyped as much as the last one.